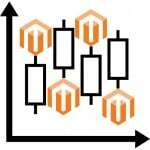 On these days, E-commerce is more and more popular all over the world and Magento 2 stores are no more strange to people. 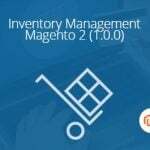 In one hand, Magento 2 store helps sellers so much on selling goods and products but in the other hand, vendors should find ways to boost their online store to drive more sales as well as profits. To help sellers be successful in online business, Landofcoder team are delighted to introduce a brand new extension that can make online stores become more and popular. Everyone now is too busy in this bustle lifestyle and your customers are also. They don’t even have time to visit your site to check this kind or that kind of products is available or not. 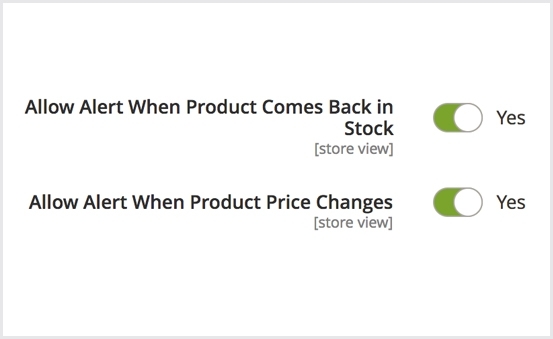 So sometimes there will be a hard-solving situation that customers want to buy your product but it’s out of stock. 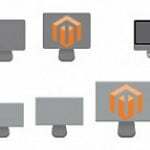 These situations like this demand Magento experts to create a functional tool to help online store owners to handle them effectively. With Landofcoder Magento 2 Out of Stock Notification, vendors will be relaxed and pleased a lot because this extension allows sellers to send customers notification whenever one of their products are all gone. Let’s discover some sweet points of our Magento 2 Out of Stock Notification Extension! 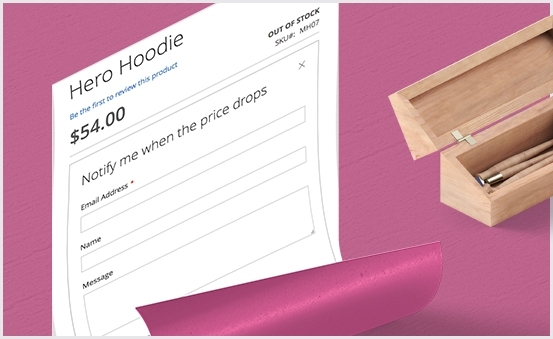 For some customers, having a notification about their concerned products is quite important, they always look forward to the discount days to buy the products with the lower price. Landofcoder Out of Stock Extension can bring customers all information and details about products including Sale off Product, Change Price Product, New as well as Out of Stock Product. Sellers, sometimes they want to notify the news for the whole customers but sometimes, they just want to inform a certain group of customers. By understanding deeply the demand of sellers, this extension allows vendors to choose either notify automatically or manually. However, if your store has thousands of subscribers, you should choose the automatic one. 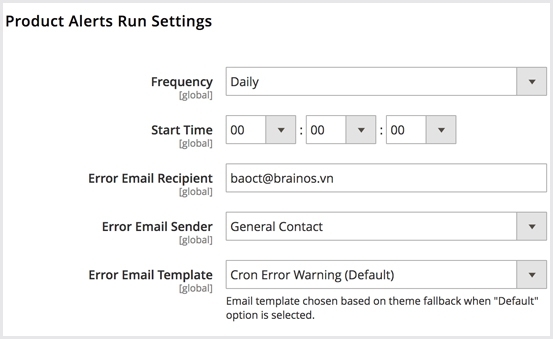 Once you choose to send notification automatically, you can adjust the frequency, start time, etc. Sometimes the email templates are not like your desire so you will get irritated when some of the notification plugins don’t allow you to adjust. 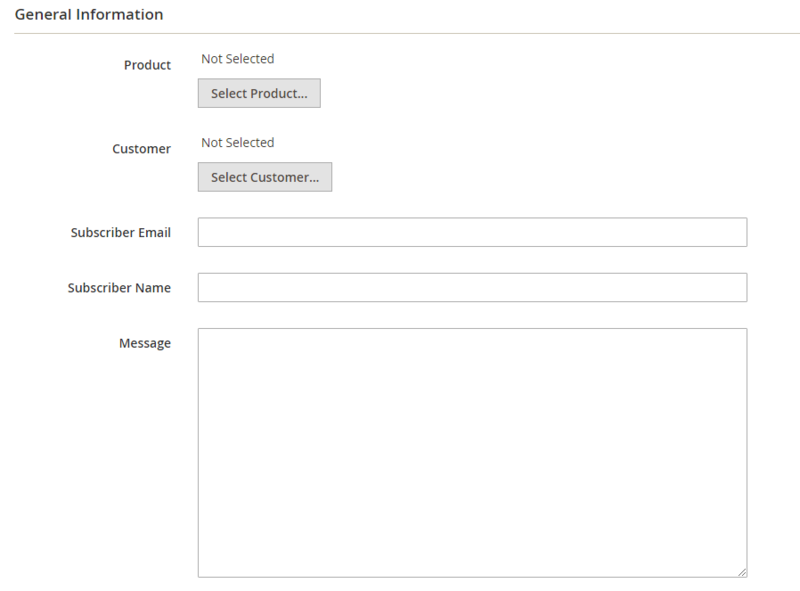 With Landofcoder Magento 2 Out of Stock Notification Extension, you can customize email as your requirement easily. Unlike other Magento 2 stores in the market, this Extensions is very convenient for customers when they can choose to follow and receive notification from one specific product or a group of products. This function will help customers feel relaxed and not irritated by the unrelated notification. All customers can do to enable/unable notification is clicking to turn on/off the YES button in the Setting field. 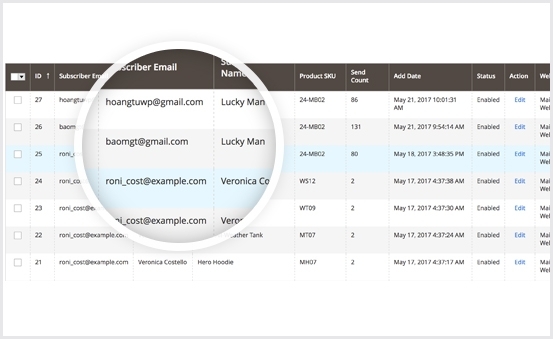 Sellers can base on the subscriber list to filter types of subscribers and from that, can decide who is the targeted customers so can have the right marketing strategy for each type. 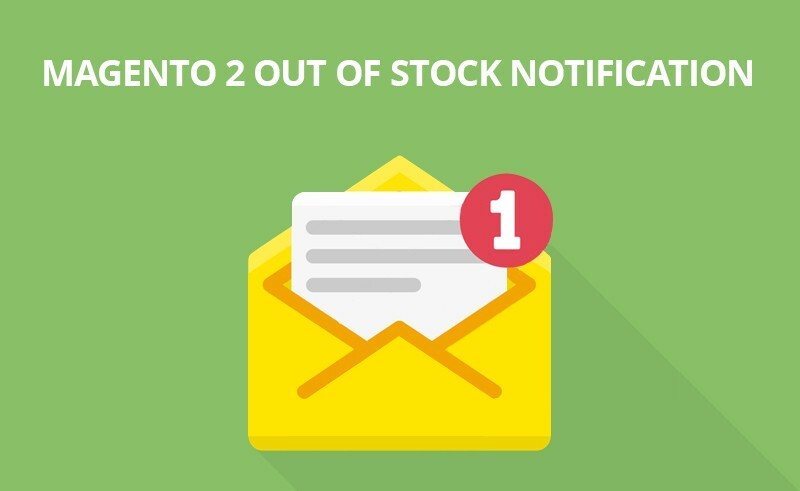 The place to display the alert of stock is various, some people want to put it on a page, some others just want it to appear in the popup. 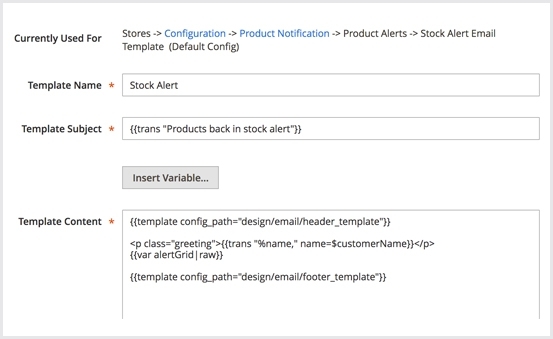 With Landofcoder Out of Stock Notification Extension, sellers can put the alert anywhere they want, in a popup or on any page. For each product, when visiting its page, if concerning/ not concerning about the products, customers can choose to subscribe or unsubscribe it so easily. 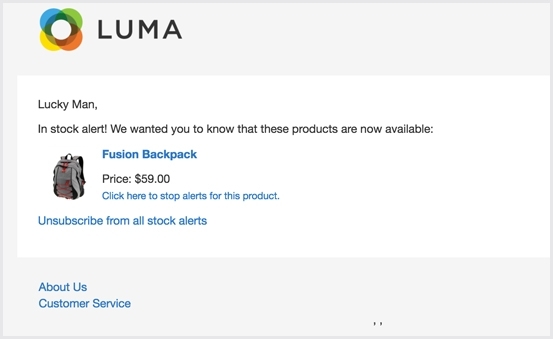 After subscribing, the notification about the product stock will be sent to you right away. So, with a really simple step, you can have all notification about your concerning items. 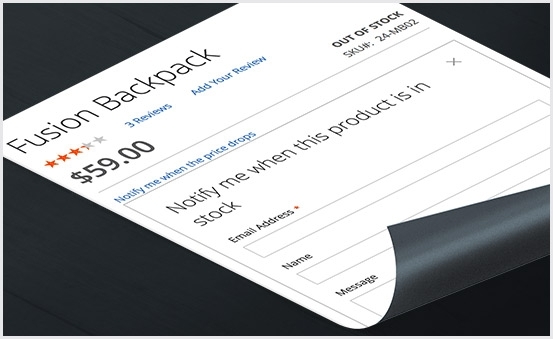 Out of Stock Notification Extension by Landofcoder help sellers to see clearly the number of subscribed customers for a specific type of product in form of a report. This report will show the potential products and potential customers, so vendors can decide the marketing method for the store. As a seller, you can go to Backend to control as well as manage the products of your online store. 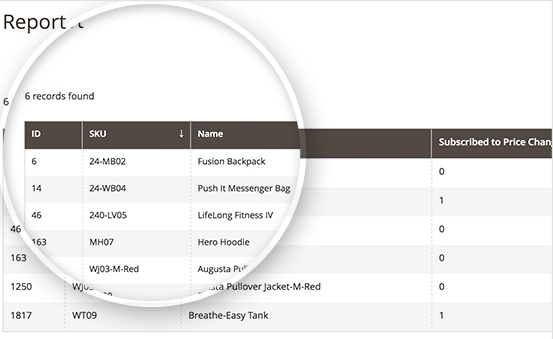 Coming to the backend, the first thing you can see is the table enumerated statistics about customers’ subscription, including subscriber name, email, product name, product SKU, status, action, etc. Through this data, vendors can know deeply which types of products that customer concern. 10. How to add a new stock notification with Landofcoder Out of Stock Notification? There will appear a new window with some general information that might be changed and fill in. In this part, you need to choose and follow this information: kinds of product, subscriber’s email, name, the message, status, etc. After changing all fields like your desire, click Save Price Notification to save it, or you can choose to Save and Continue Editing. Or sometimes, if you want to discard all the changing, you just need to choose Reset to delete all changes that you have made.